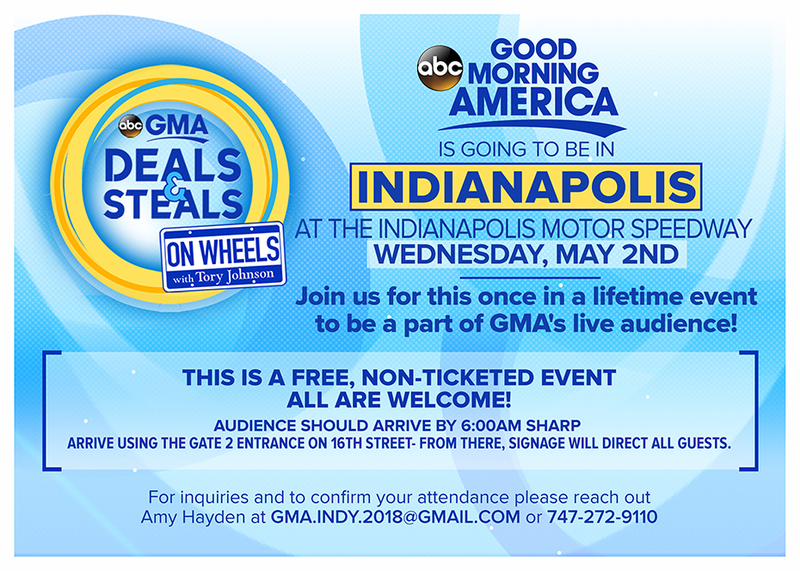 ABC’s “Good Morning America” will broadcast a portion of its show live from the Indianapolis Motor Speedway on Wednesday, May 2nd. Fans are encouraged to attend. GMA’s “Deals & Steals on Wheels with Tory Johnson” segment will air live from IMS and include Verizon IndyCar Series drivers. Audience members should arrive by 6 a.m. ET on May 2 and enter through the Indiana Motor Speedway Gate 2 entrance on 16th Street. To confirm attendance, email Amy Hayden at gma.indy.2018@gmail.com or call (747) 272-9110. Sebastien Bourdais hasn’t traded in his firesuit for a suit and tie to become a game show host. In fact, the Dale Coyne Racing with Vasser-Sullivan driver will be wearing his Team SealMaster driving uniform next week when he co-hosts “Daily Draw” on the Game Show Network (GSN) with co-host Trish Suhr. The episodes air at 7 p.m. ET each night from April 30-May 4. Viewers can win cash prizes on “Daily Draw” by watching for code words displayed during evening programming on GSN. Bourdais will help Suhr select the daily winners. For a sneak peek of Bourdais and Suhr preparing for next week, click here.